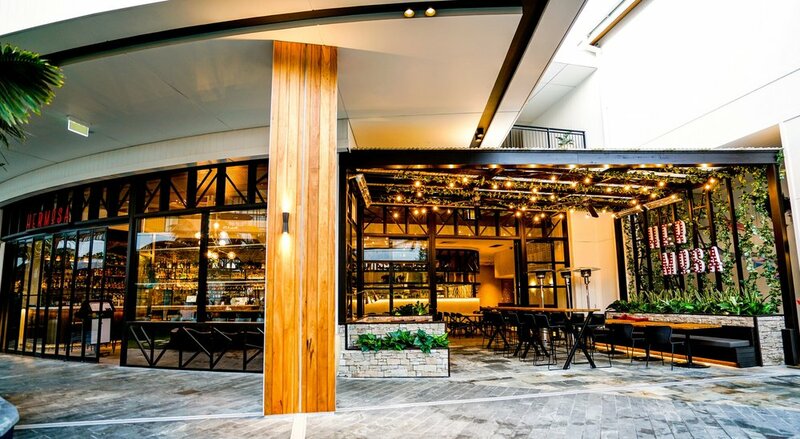 Hermosa means ‘beautiful’ which is an accurate description of this traditional Spanish inspired eating and drinking house in Westfield Chermside. The custom branding evokes a certain romanticism and nostalgia for a lost love or particular moment in time. Comfortable and intimate, the venue is a perfect example of destination eating within shopping plazas.